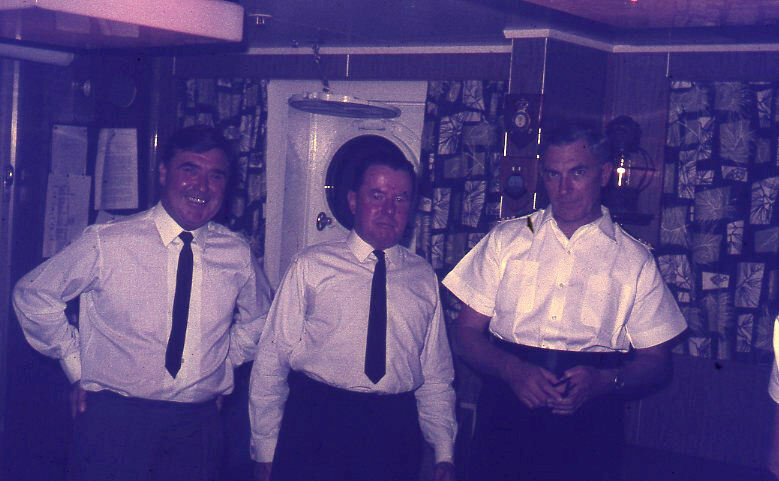 Photo also includes L - R Signalman, Yeoman and Fred. Yeoman possibly Paddy O’Brian and SRO Fred Gravil, sailed with both on a few ships. Sigs familiar face but cannot put a name to him.